The crowdfunding project #100xPEOPLExHAPPINESS required a short video to explain and illustrate a photography based exhibition project in Berlin. The brief was simple – keep it short and direct. But, it had to make a connection to the original digital project that was produced on Instagram. Hence, the production design solution was to try and make the photographer/artist Barbara Gruber appear to pop-out of her Instagram account and showcase the evolution of the project and her need for crowdfunding support. The campaign reached its two funding goals and the exhibition is due to open on August 3, 2018. The video was filmed using a Panasonic GH5 and an iPhone 6S. Along with the video and images for the crowdfunding campaign, I developed and constructed the interactive media installation for the exhibition. The brief from the photographer/artist Barbara Gruber was to adapt a space within the exhibition and create an installation for visitors (both to the gallery and digital) to capture their portrait photo and contribute their thoughts on the exhibit theme of What makes you happy? 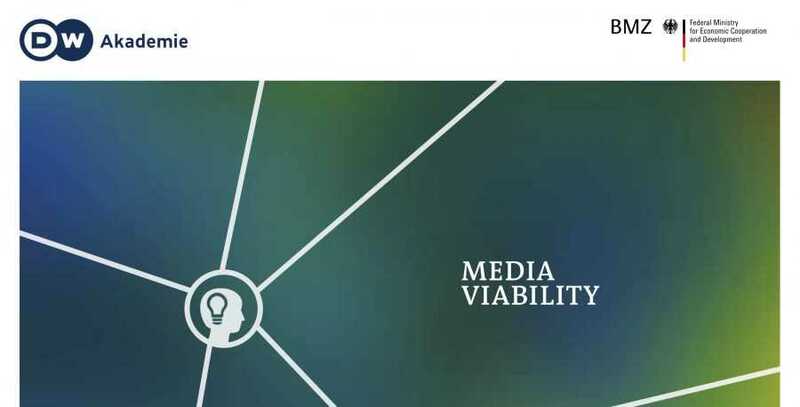 During a three day forum in Tbilisi, leading media professionals from Germany and Eastern Europe explored media viability, funding sources and new business models, and trends in digital media across the region. 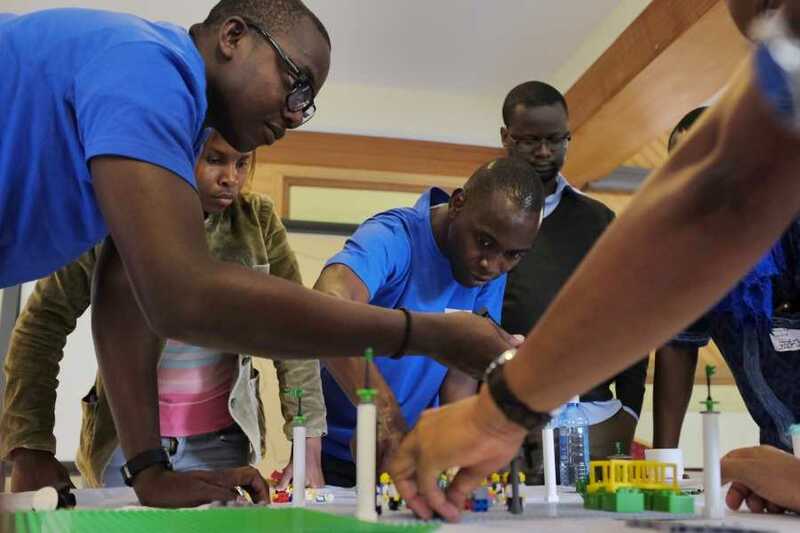 An interactive half-day session was designed fusing HCD principles and Lego Serious Play to bring forum delegates together on the final day and to share their expertise and experience, and to have concrete ideas to take forward. The design needed to be practical to facilitate 70 delegates to collaborate in small groups; straightforward to work in English and Russian simultaneously; and flexible to adapt to the key threads that had emerged during the forum. During the media entrepreneurship module of the HMS Digital Journalism MA, students use the Lean Startup canvas to develop their media innovation project. 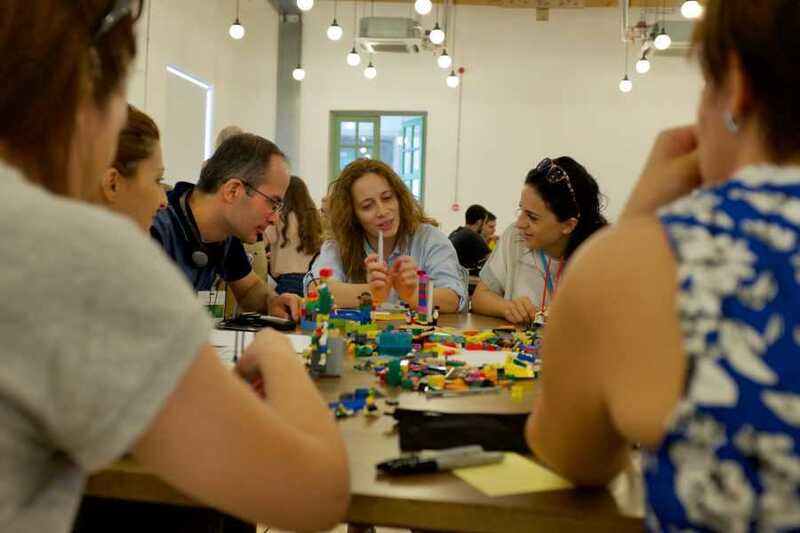 Along with the classic Business Model Canvas, Lean Startup can be fused with Lego Serious Play and is particularly useful to explore a range of canvas elements. Students find that they are able to develop their concepts more thoroughly using this combination of tools, and develop a more robust narrative to support their concept pitch. 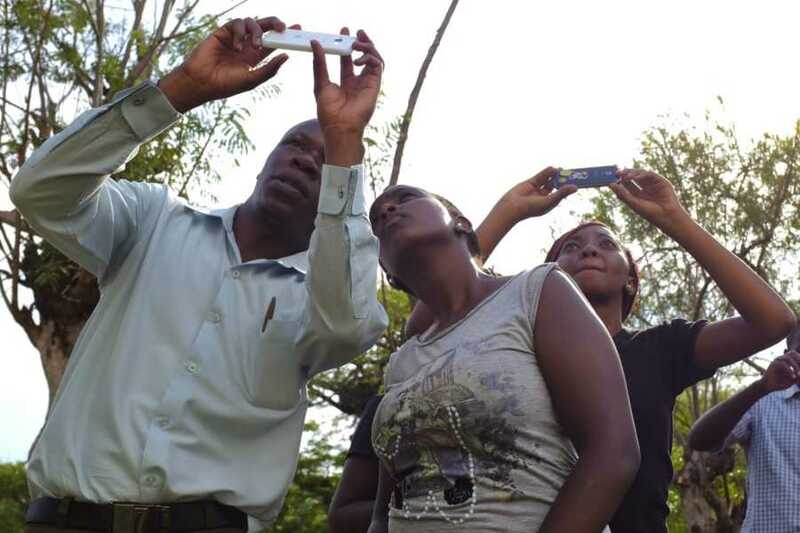 This workshop with radio journalists in Western Kenya explored how to use smartphones to produce stories and media experiences with a community not just for a community. 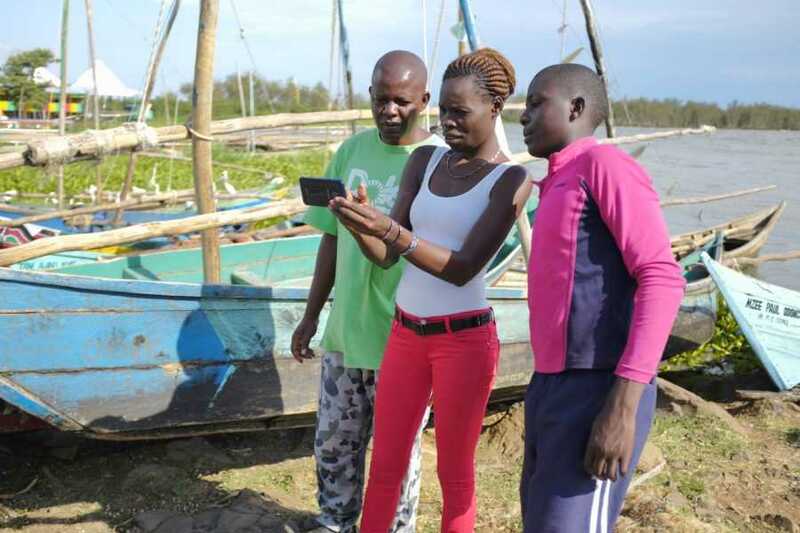 Using entry-level Android smartphones, journalists were guided through basic mobile reporting skills and worked towards their goal of transforming a village fish market into a multimedia exhibition space. 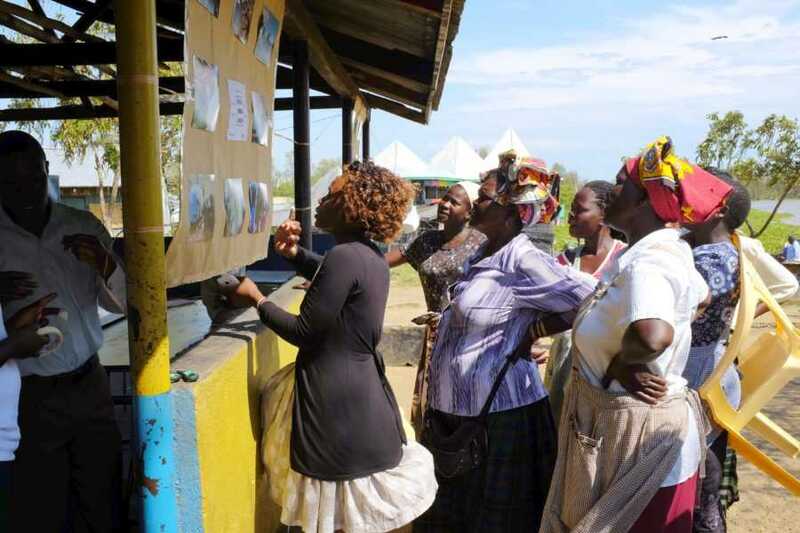 The Pop Up Dunga Beach Project challenged journalists to think beyond broadcast media; to think about media as a trigger for an experience; to think about collaborative media making and to find out what happens when storytelling and public spaces intersect. 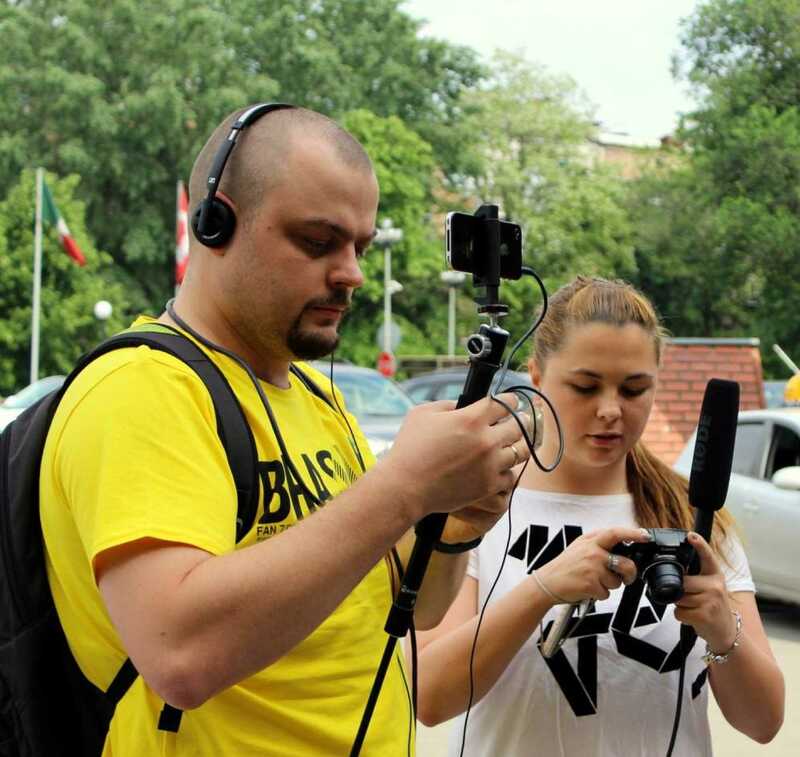 An emphasis was placed on photojournalism and using a smartphone to produce materials for story formats that enable a radio journalist to literally tell a visual story such a short narrated audio slide-show, rather than produce something like a scripted video feature. Lego Serious Play was used intensively at the start of the workshop to trigger professional interest in mobile reporting and to find out more about colleagues’ aspirations and what matters most to them as journalists in their community. As an expert trainer with the European Union funded ENPI Media Neighbourhood project I designed and implemented short workshops focusing on multimedia and multiplatform journalism. 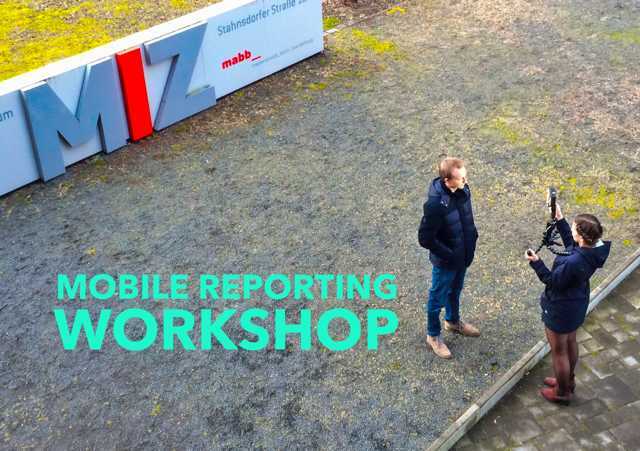 Along with exploring essential digital storytelling skills, colleagues were introduced to using their smartphones for reporting and how to adapt their stories for different platforms. Over this extensive three year project (2013-2105), workshops were implemented in Georgia, Ukraine, Belarus, Egypt, Lebanon, Armenia, Jordan and Azerbaijan. As a regular part of MIZ’s Cross Media training program, this intensive one day Story-to-Go course introduces colleagues to essential mobile reporting skills (Photography, Audio, Video); suggested MOJO workflows; useful cross-platform storytelling applications; as well as the latest mobile reporting equipment such as microphones, rigs and stabilisers. We also examine examples of mobile reporting and trends in producing content for mobile audiences. Attendees walk away with new skills, and most importantly, the confidence to start telling their own stories with a smartphone. It’s also a lot of fun! Train-the-Trainer has long featured in journalism education, but just as much emphasis should also be placed on the F-word: Facilitating. 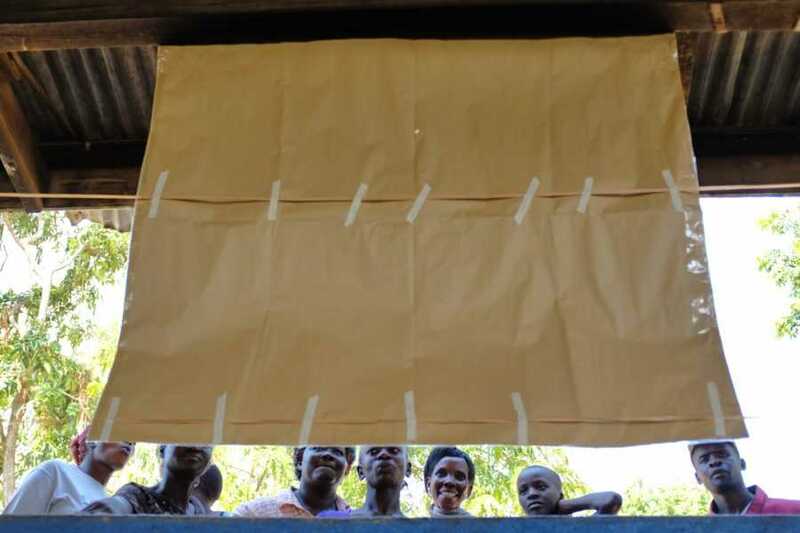 This workshop coached journalists within DW’s Innovation teams in the skills of vocational training but also how to facilitate workshops or meetings that guide colleagues to develop the solutions they need. 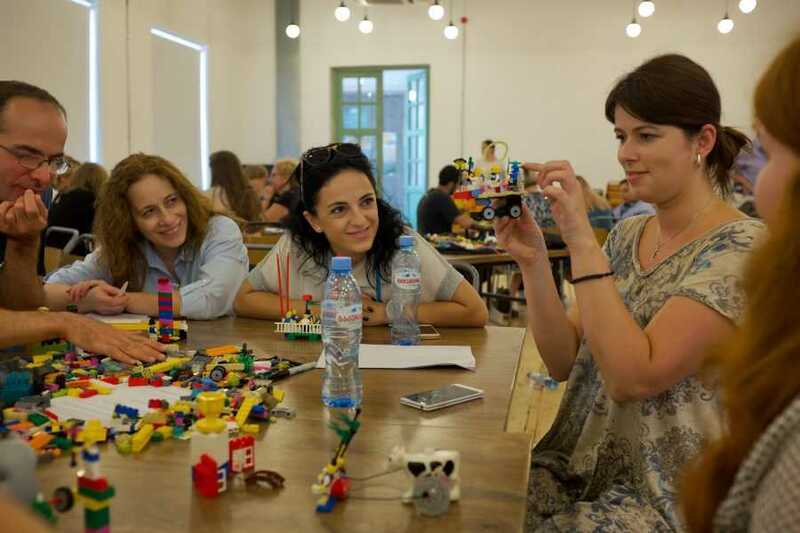 Journalists were introduced to interactive facilitation methods inspired by play-based approaches such as Lego Serious Play and Design Thinking practices. 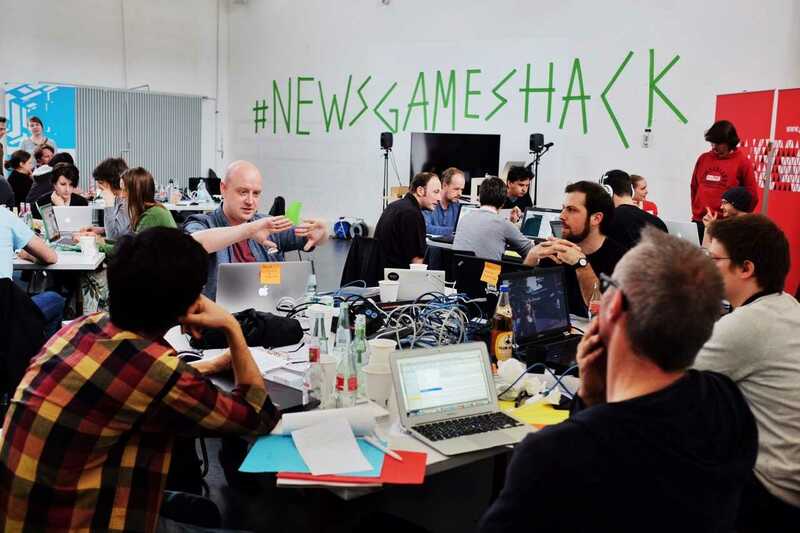 The highlight of this short workshop was developing plans and prototyping activities to temporarily transform a space inside Deutsche Welle’s studios in Bonn for knowledge transfer. Bring together 21 people from around the world and help them to create prototypes of digital tools to foster freedom of expression. 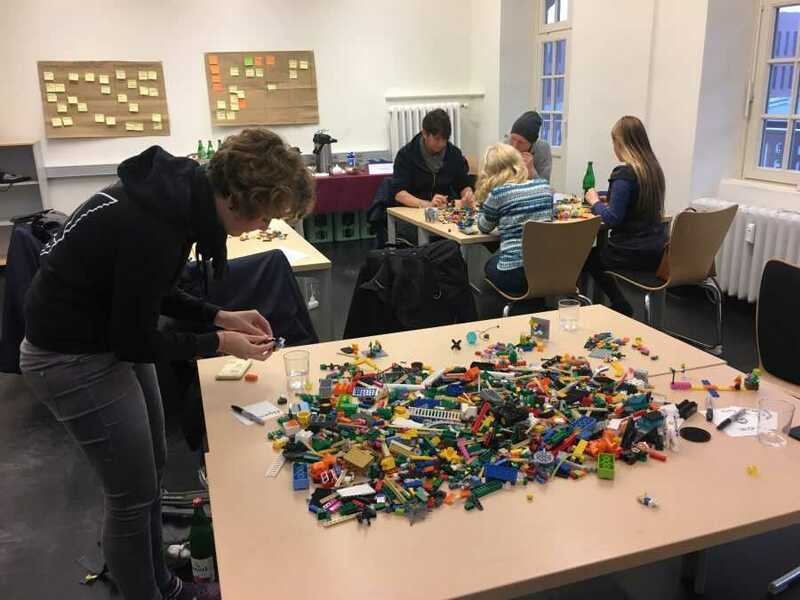 That was the goal of an intensive 3 day hackathon-style media development lab at DW Akademie in Bonn that fused Design Thinking practices with Lego Serious Play. 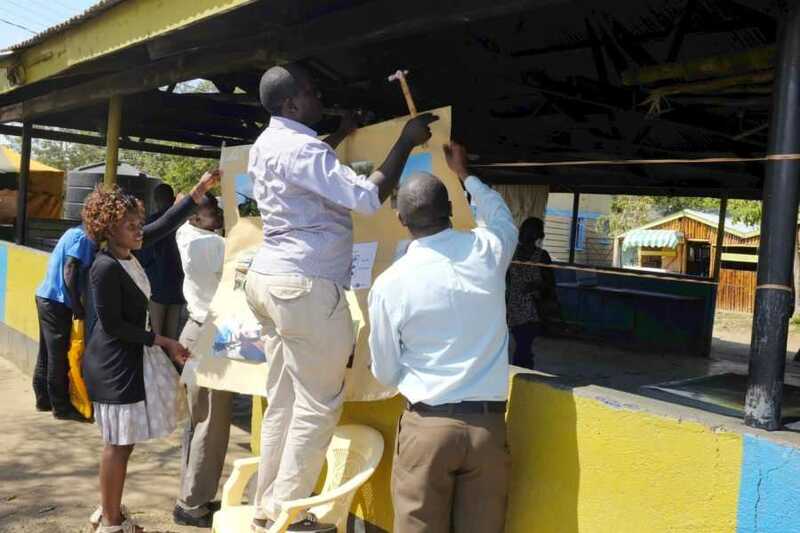 DW Akademie hosted a Social Media Dialogue in Nairobi, Kenya in November 2015. Ten leading innovators and thinkers on social media from anglophone and francophone Africa came together for three days to share ideas on new digital trends on the continent. Lego Serious Play was one of several visual thinking tools applied to facilitate creative thinking and foster shared understanding between colleagues. A highlight of the dialogue was the development of shared model of What makes good governance in Africa? Lego became the lingua franca between English & French colleagues. Visualising and remixing complex ideas with Lego bricks helped everyone to find common ground and new ideas for their own projects. The brief was simple. Produce high quality images and video to document the hackathon in detail and make all materials available in near ‘real time’ for social media and news outlets under Creative Commons. The Fujifilm X100S camera with its almost silent leaf shutter was the perfect choice to document hacker teams at work without disturbing their activities. Photographs from the camera were uploaded to an iPad simultaneously via a WiFi SD card, lightly edited, tagged and uploaded to the hackathon blog and social media networks. The hackers loved having quick access to high quality images to share on social media and the images produced during the hackathon appeared in several publications including: El Pais, Guardian UK, Pages, Deutsche Welle & Data16. 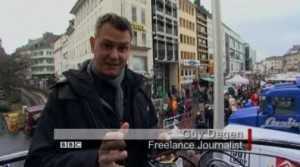 Digital safety knowledge and skills are essential for journalists worldwide. Drawing inspiration from eLearning, MOOCs, webinars and remote training concepts, this week long series of open online workshops was hosted at DW Akademie in Berlin. Our #digisafe team collaborated with leading digital security experts and data journalists to produce online workshops that were easy for anyone to participate. To facilitate an online training room the workshops were conducted using Adobe Connect. Filming and editing assignment in South Sudan. Shot in HD edited in Final Cut Pro. 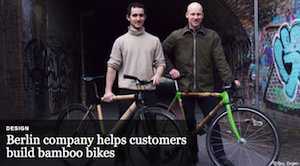 Filmed and co-produced with Borja Portuondo and Karlos Zurutuza. 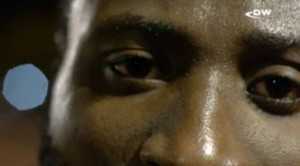 Shot in HD with Panasonic GH2, edited on Final Cut Pro. Filming and editing assignment with correspondent Matthew Collin.